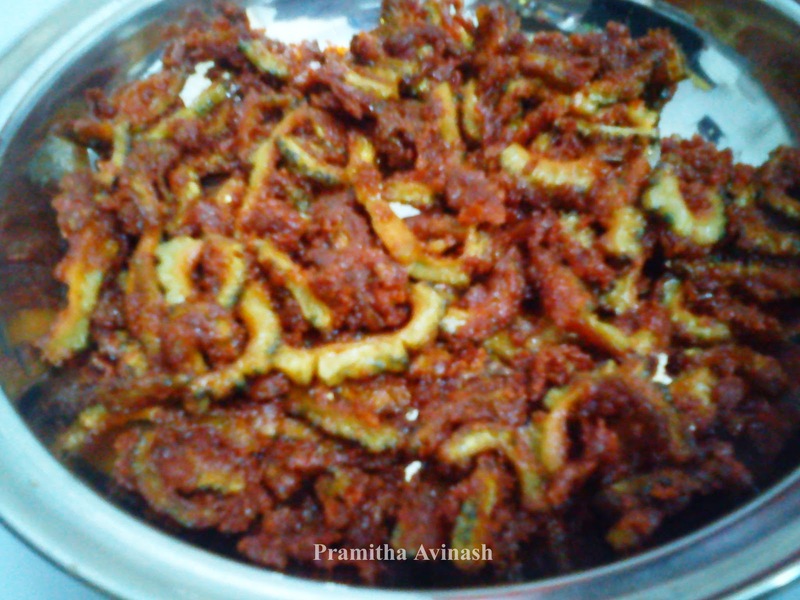 I never used to eat any bitter gourd dishes,because of it's bitter taste.I hate it.But my husband like's the bitter gourd fry,so he asked me to make.So i searched and found out a good recipe for making the fries.Really i was wondering while eating,it was very tasty,crispy and more over i can't find the bitter taste.It's a very good side dish for vegeterians.Now i really like karela fries.So get the recipe from here and try for the tasty karela fries. 1.Take out the seeds of the bitter gourd and cut it into thin slices. 2.Mix rice flour,corn flour,chilli powder,turmeric powder,hing,salt ,yogurt and little water to make a fine paste. 3.Apply the paste on each bitter gourd slices and keep it aside for 30mins. 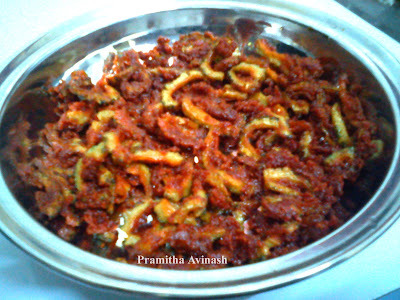 4.Heat oil in a pan and add the bitter gourd slices and fry till crisp.Cook in a medium flame. 5.When it is golden brown color switch off the flame and drain in paper towel.